Four out of the thirty days on my June calendar are: Father’s Day (the 16th), Wedding Anniversary (the 20th), Dad’s birthday (the 23rd), and Brother’s birthday (the 30th). Which makes it an unofficial “Celebrate My Favorite Men” Month. 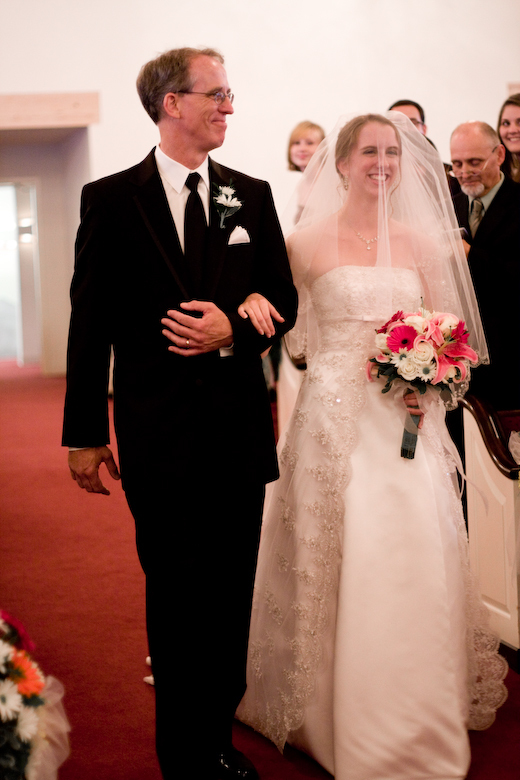 1) Dad – The one who has loved me unconditionally from day one. 2) John (Husband) – The one who likes me so much he has voluntarily chosen to live with me and love me til I die. 3) Matt (Brother) – The one who loves me because he “has to” but secretly, deep down, actually likes me too. There is so much about my childhood that I don’t remember but I consider it such a blessing to know that you were there for all of it. I remember dancing down the hallway as you played the “Linus and Lucy” theme song from Charlie Brown on the piano, or barreling straight for your shins, plopping my bottom firmly on top of your foot and saying “Go!” and never being disappointed with the “foot ride” that followed. I remember the smell of coffee and peanut butter toast in the morning and the goodbye hugs before heading off to school with the words “Learn lots and become wise!” echoing in my ears. I remember feeling safe whenever you were around and getting really mad at Sarah when I told her I thought you were the most handsome guy in the world and she said, “No he isn’t, Rachel. You just love him so much that you think he is.” (I’ll let you talk to her about that 😉 ) I remember my heart bursting with joy whenever you told me how proud you are of me and how much you love to watch me dance on the stage. I remember thinking boys were so silly for trying to give me valentines because my heart was so clearly taken by the man who left me a HUGE “I Love You” balloon tied to my chair at the kitchen table that morning. I remember the countless conversations we had that would last way past my bedtime and whose effect on my life has lasted way past the eventual “Goodnight Rachel, I love you, sleep tight!” The times when you told me I was special, gifted, and created for a purpose. The times when I asked hard questions about faith and life and you answered them. And one particular conversation we had at the kitchen table a few years ago that was really difficult but really really good. I remember that too. As I grow up and stretch out my wings and discover the world and my place in it, I know there is a man who believes I could go anywhere and be anybody. I know our relationship has changed because I have changed, and so have you. But the unique and powerful impact you have had on my life will never change, and I am so grateful for it. I love you, Dad. Thanks for always taking care of me. « When you wish upon a mountain, you just might miss the sunset.